Are There Commercial Aircrafts Capable Of Operating Flights Of 20 Hours? How Long Can Commercial Aircrafts Fly Non-Stop Today? Earlier, Experience The Skies highlighted the top 20 longest non-stop flights being operated in 2017 (Related Insight). 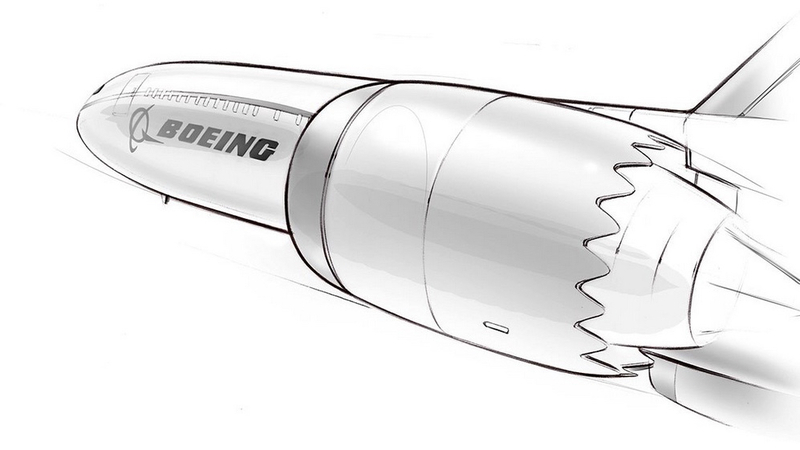 In the post, the longest flight’s operational time lasts between 17 hours 30 minutes to 17 hours 40 minutes in length. Are there any aircrafts currently in operation or planned that is capable to stretching to 2o hours of flight time? We explore current ranges and future development in this post. 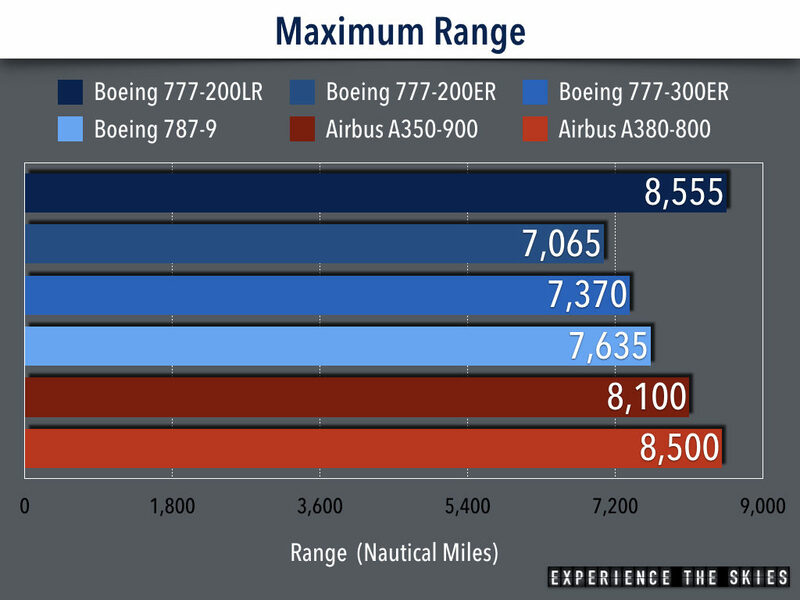 Not surprisingly, the Boeing 777-200LR has the longest maximum range followed closely by the Airbus A380-800 and the new Airbus A350-900 (Insight on Airbus A350 Development). Airlines typically reserve about 10% of the range as backup in case of an emergency or airspace/airport congestions. How much reserve to have is determined by how long the aircraft will not have access to a fuel stop (e.g. more fuel for oversea flights). As such, the current maximum range of 8,555 nautical miles is likely not going to be reached. For the current top 20 longest non-stop flights, flying time is pecked from 14 hours to almost 18 hours (Related Insight). Qatar Airways’ rein will continue until the Airbus A350-900ULR (ultra long range) enters service later in 2018 with Singapore Airlines being the launch customer (Insight on Airbus A350-900 ULR Development). This aircraft type will have a maximum range of 9,700 nautical miles which will allow the airline to operate from its hub at Singapore’s Changi Airport (SIN) either New York JFK International Airport or Newark Liberty International Airport (EWR) with ease. Total flying time can be extended upwards to 19 hours when this variant is introduced. Unfortunately, that means there are no aircrafts currently in production or in development that are designed for 20 hours of flying time. 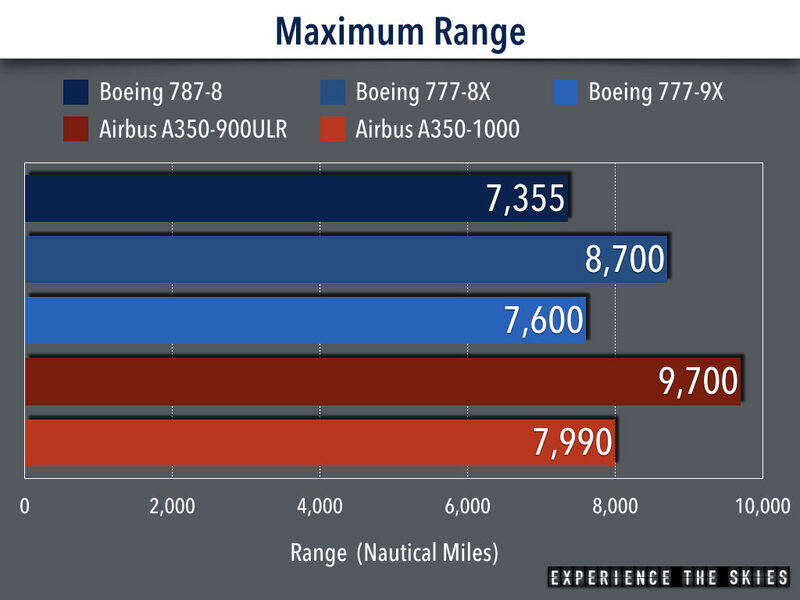 Besides the Airbus A350-900ULR, other long range aircraft types that have not enter service include the next generation Boeing 777 dubbed 777-8X and 9X and the stretched Airbus A350-1000. They are designed to carry more passengers while having the capability to fly further than current versions all with two engines. Boeing has no additional announcements to stretch the range of its 787s while preparing for the large capacity 787-10 for service in 2018. With up to 9,700 nautical mile range, the Airbus A350-900ULR can allow Singapore Airlines to fly from its home airport to the most populated cities in the world. The airline can introduce non-stop service to Washington DC, Boston, Chicago and Mexico City with this aircraft type without having any payload restrictions. Others will continue to use the regular version of A350-900 and Boeing 787s for longer range thinner routes to secondary cities. Some will operate them with a reduced cargo and passenger load. 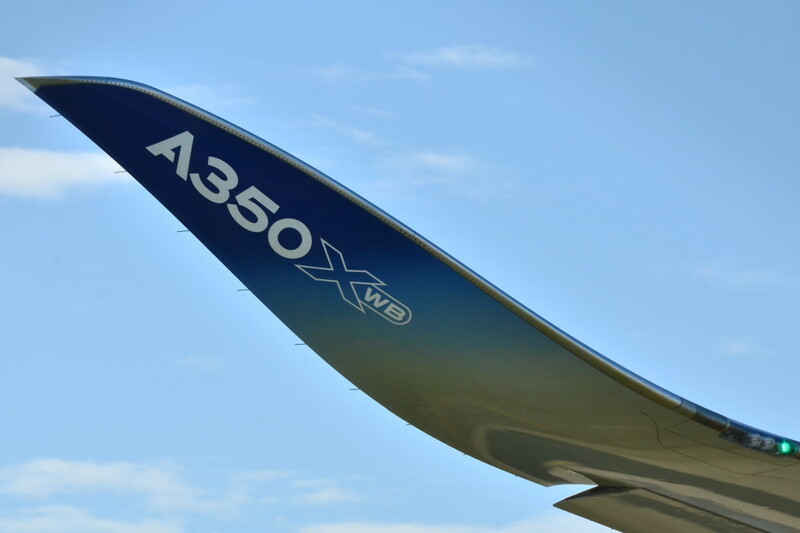 There are 35+ airlines and leasing companies with orders for the Airbus A350s. It is highly possible that they might convert existing orders or options into the ULR variant when Singapore Airlines’ exclusive right to it expires. This would open new opportunities for non-stop flights (e.g. Asia based carriers to extend their network deep into North America and South America. Eastern European carriers would be able to fly to Australia non-stop). It is also possible that Airbus can find ways to add even more fuel tanks for a “super” ULR variant. Qantas Airways’ Chief Executive Officer, Alan Joyce, challenges both Boeing and Airbus in the airline’s 2016/17 annual meeting to create aircrafts that are capable of flying non-stop for a record 20 hours on normal payloads with Project Sunrise. It would like to be first airline in the world to operate such aircrafts on non-stop journeys from its hub at Sydney, Australia to London, United Kingdom, Paris, France, Rio de Janeiro, Brazil and New York, United States sometime in 2022-2023. Since it will be a Boeing 787 operator by 2018, the airline would flavor towards a LR variant of this series over the Airbus A350-900ULR. The airline is already working with the University of Sydney to devise jetlag management techniques in advance of the introduction of its Perth, Australia to London flight in March 2018 (Related News). Currently, there are no aircrafts from long haul aircraft manufacturers Boeing and Airbus that are capable of flying 20 hours with a full payload. New development including the 777X program and the Airbus A350-900ULR will extend operational time up to 19 hours. Additional modifications of existing and future designs are required to achieve this record.